Nestled within the Chesapeake Bay, First Landing State Park offers a park experience that is hard to find anywhere else in the world. The ancient 2,888-acre park, includes more than 19 miles of hiking trails through protected salt marsh habitat, freshwater ponds, dunes, tidal marsh and cypress swamp, and 1.25 miles of Chesapeake Bay beachfront, frequently one the least crowded beaches and best kept secrets in the area, accessed through the northern entrance of the park. A registered Natural Landmark, First Landing is the most visited state park in Virginia and contains one of the most endangered habitat types in the world - the maritime forest. First Landing is named for the historic landing of three small ships from England, the Discovery, the Susan Constant, and the Godspeed, which brought the first English settlers to America in 1607, right next door to the park at what is now called Cape Henry, located within the Joint Expeditionary Base Fort Story. The 100 Englishmen and women aboard these ships, commanded by Captain Christopher Newport, went on to establish the first permanent settlement in the new world at Jamestown after exploring, what is now Virginia Beach for several days. First Landing’s legend doesn’t end there, however. 100 years after the settlement of Jamestown, the coastline of the Chesapeake Bay was home to fearsome pirates, including the most infamous pirate of them all. The beaches of the Chesapeake Bay are ideal for scanning the calm bay waters, perhaps for treasure-laden merchant ship and Navy vessels on the hunt for pirates, making it a favorite lookout for one Captain Edward J. Teach, or Blackbeard, himself. As the story goes, after the sacking of a particularly bountiful merchant ship, a Navy ship was spotted coming from the west, before the Teach and his men had time to enjoy their prize. After burying their treasure in the dunes of the beach, the men fled through the narrow inland waterways of the park, back out to the ocean, before sailing to their hideout in North Carolina, intending to return to reclaim his gold when they were clear of the warships. It was never to be, however, as the Navy caught up with Teach off of the Carolina coast, in the Outer Banks. A bloody battle ensued and ended when the pirate captain was beheaded at the hands of Lt. Robert Maynard. Though many have tried, the lost treasure of Blackbeard remains a mystery to this day. Legend has it that while his death occurred in North Carolina, his spirit has returned to protect that which he holds most dear. The beaches of First Landing are a beautiful place for a late afternoon stroll, but watch your step. Stray too close to where his treasure lies and you just might find yourself staring through the headless specter of the most infamous pirate to ever sail the high seas - back to protect what is rightfully his. 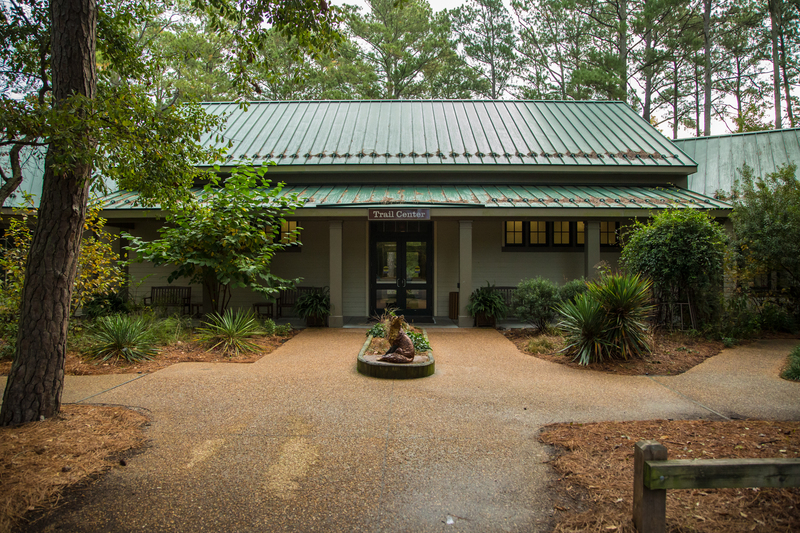 The trail center, accessed through the south entrance off of Shore Drive, is the main hub for accessing the nine interpretive trails that run through the park. Hikers can choose from nine hiking trails through the park’s seven distinct ecosystems, including the Cape Henry Trail. This six mile trail is the park’s longest, stretching from the northern border to southernmost entrance off of Atlantic Avenue, and is the only trail accessible to both hikers and bicyclists. 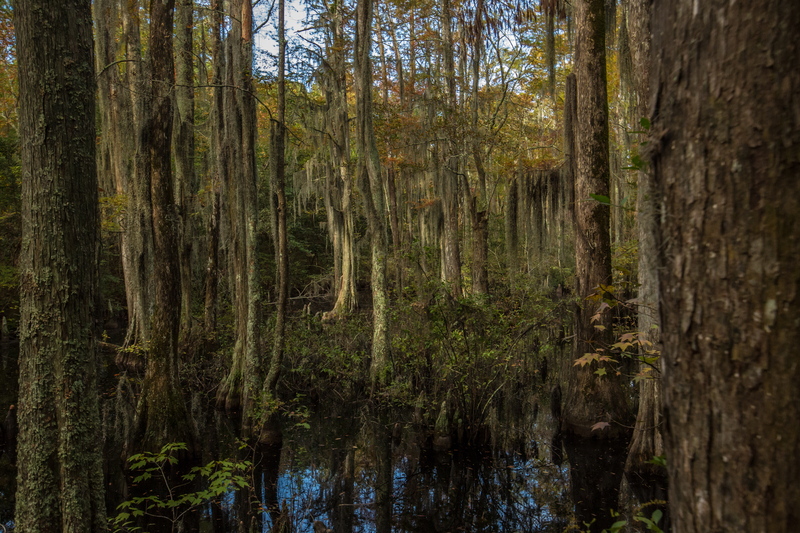 For a scenic hike through the enchanting cypress swamps, Bald Cypress Trail offers a 1.5 mile loop, including several boardwalks and platforms overlooking the low wetlands, making for several great photo-ops. Campers can find refuge within the park, as well. First Landing offers 200 campsites, nestled within the back dunes of the northern, beachfront side of the park. Sites vary from smaller sites, perfect for tent camping, to sites that have water and electricity hookups and can accommodate 50-foot RVs. For those who prefer a comfier stay, the south side of the park offers 20 rustic cabins, with running water and electricity, as well as heating and air conditioning. Campsites are available from March 1 through early December, while the cabins can be rented year-round. Whether hiking, biking, birdwatching, or treasure hunting, time spent in this enchanted forest is an escape in every sense of the word. The moss-covered pathways and windswept dunes can transport you to another world entirely. 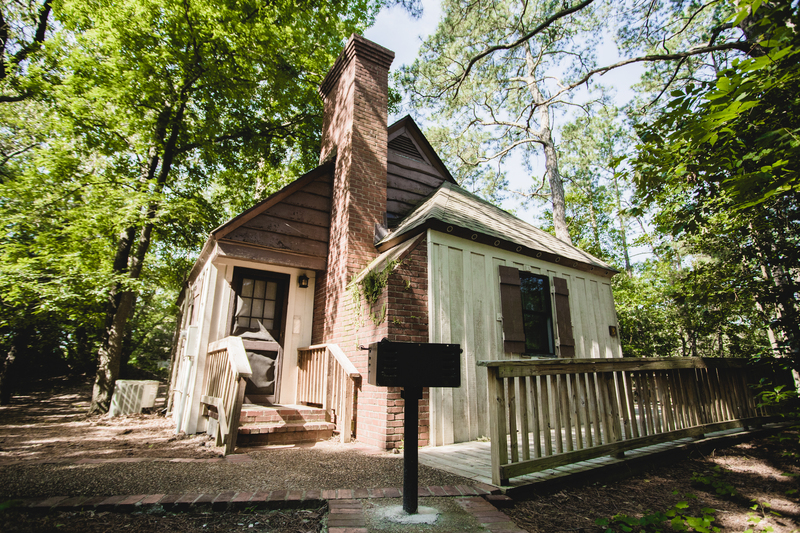 As the breeze dances through the leaves of the towering native Bald Cypress trees, you’ll feel as though you’ve been dropped off in a land that time simply forgot. 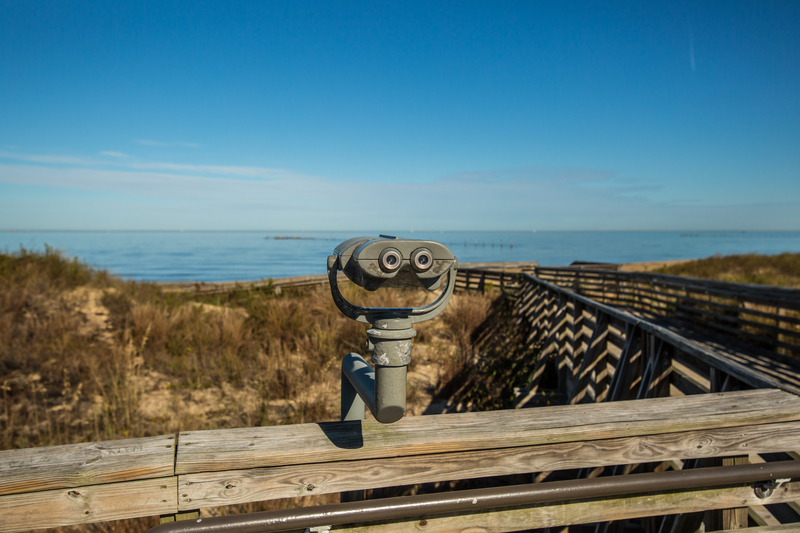 Plan your trip to First Landing State Park now!